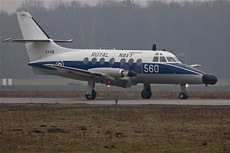 On Friday, February 25, 2011, five Jetstreams of the British Royal Navy arrived at Eindhoven airbase. They departed back to England on Monday, February 28. It was my last opportunity to catch these aircraft on photo. 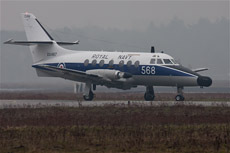 The outdated Jetstream will be retired from operational service on April 1, 2011. Handley Page was in an economic uncomfortable situation during the sixties. 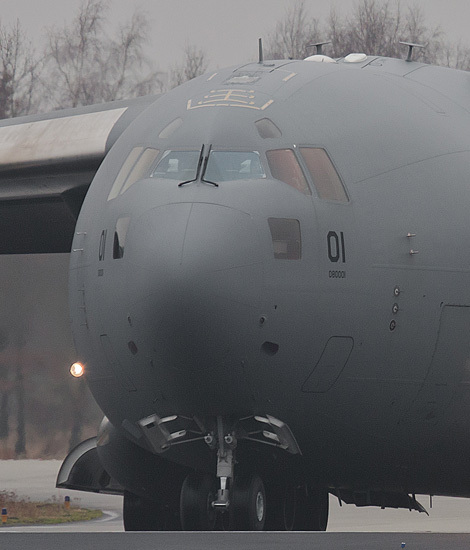 There was no money available to design a large commercial aircraft for civilian tasks. They decided to design a small airliner with a capacity of twelve up to eighteen passengers. 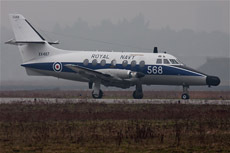 The original design of the Jetstream dates from 1965 as a twelve seat aircraft. The machine was designed with a low wing configuration. Much attention was paid to the streamlining of the aircraft to increase its performance. This resulted in an aircraft with a long nose which was unusual for an airliner in those days. The cross section of the fuselage was circular and therefore it was easy to keep the plane under pressure. This made it possible to fly at high altitudes with this aircraft. 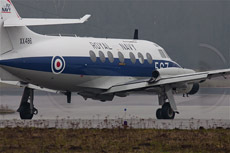 The final assembly of the Jetstream was done at the airport of Radlett in Greenfield. However, large parts of the production were outsourced. The wings were built by Scottish Aviation at Prestwick and the tail was constructed by Northwest Industries in Edmonton, Canada. 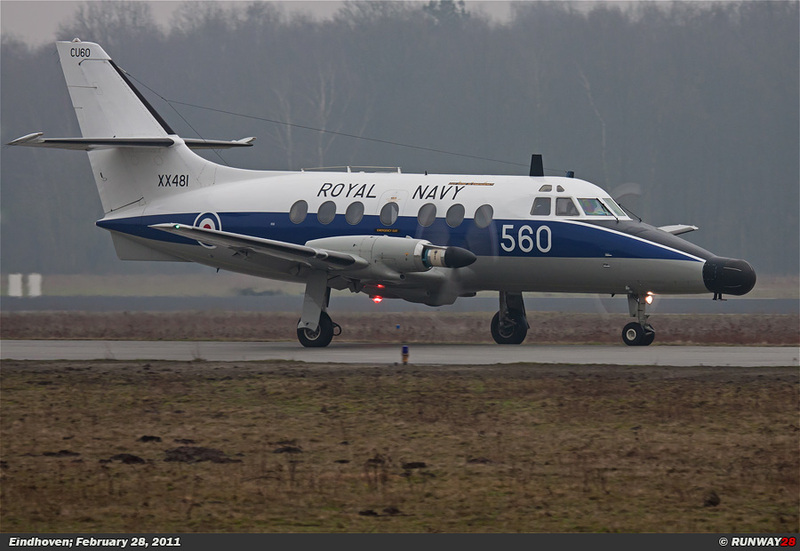 The original Jetstream design was equipped with two Turbomeca Astazou XIV engines of 840 horse power each. 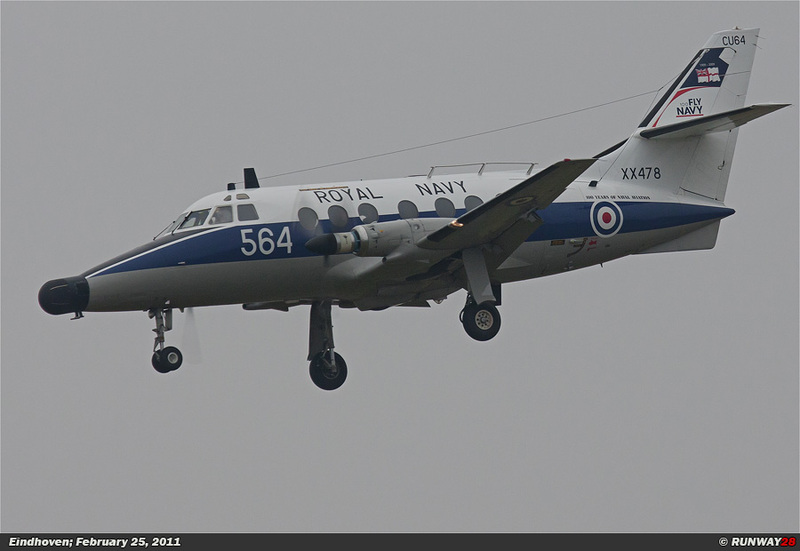 The first aircraft flew on August 18, 1967 as the Jetstream 1. The engines of the Jetstream were underpowered, and therefore not suitable for the design. Testing the engine was finally done at the Turbomeca plant in the southern part of France. The U.S. engine builder Garrett AiResearch was involved in the project to make the aircraft attractive for sales in the USA. 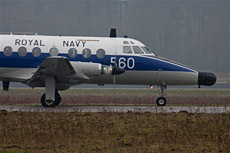 The fifth prototype of the Jetstream was equipped with the US-built TPE-331 engine instead of the French Astazou engine. 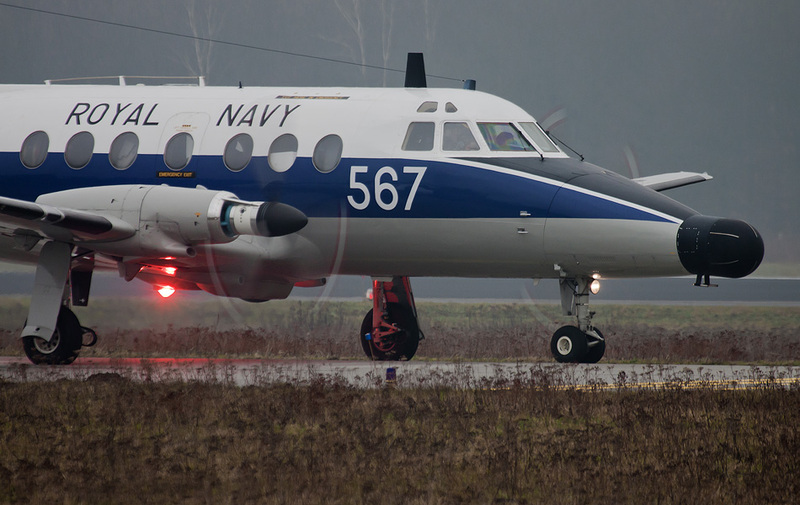 Transferring to a US-built engine was reason enough for the U.S. Air Force to buy the Jetstream as a cargo plane. 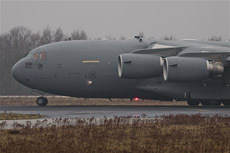 They placed an order for eleven aircraft equipped with a cargo door and accommodation for 12 passengers or six stretchers. 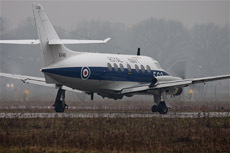 The aircraft would be referred to as C-10A, or Jetstream 3M. The USAF canceled the order in 1969 because the machines were delivered too late. would be delivered in the next year. 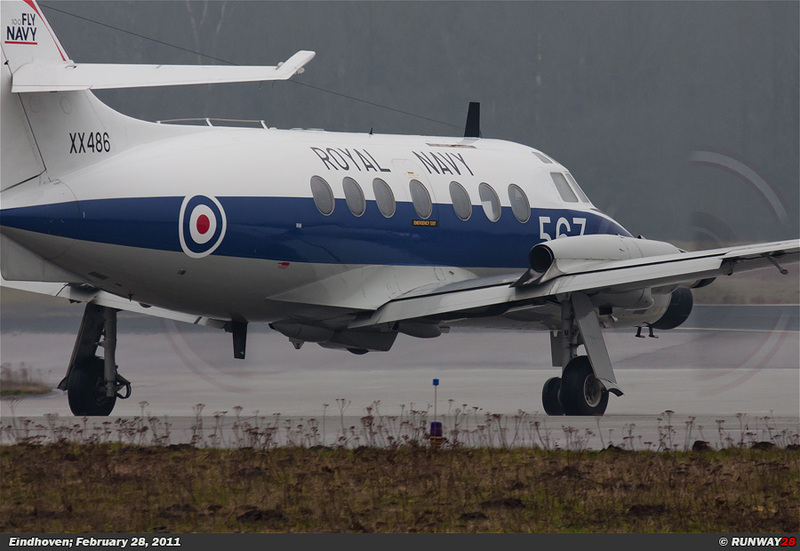 Handley page had an improved engine; in the meanwhile the Jetstream 2 program was launched quickly after that. 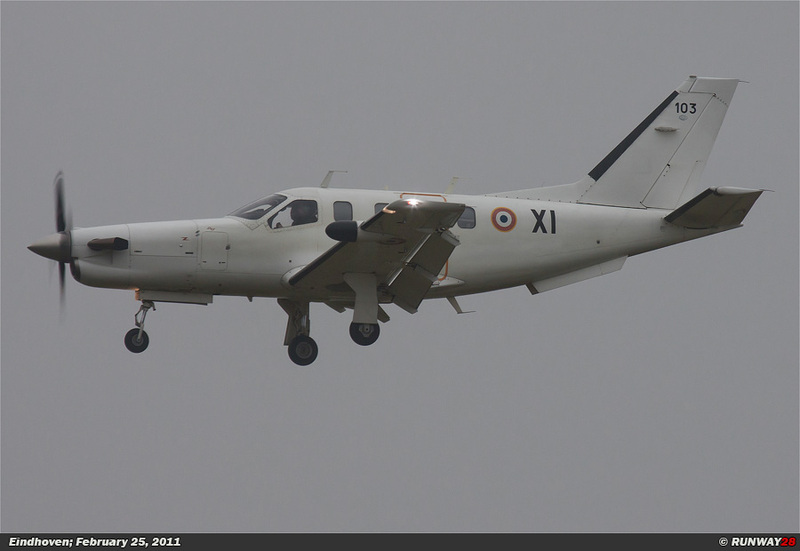 This aircraft was equipped with the improved 965 hp Astazou XVI engine. Only three Jetstreams were delivered by Handley Page when the company went bankrupt before the end of 1970. However, there was still enough interest for the design. 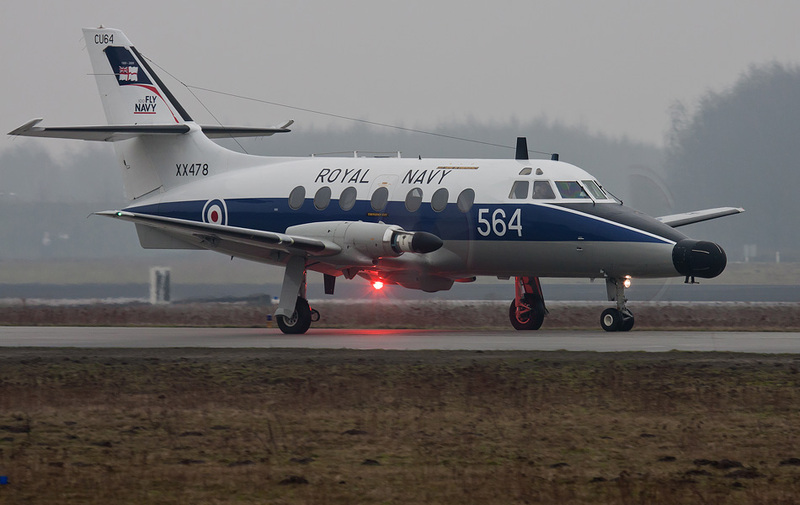 Scottish Aviation continued with this aircraft. 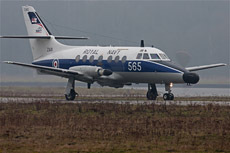 The Royal Air Force ordered 26 Jetstreams in 1972. 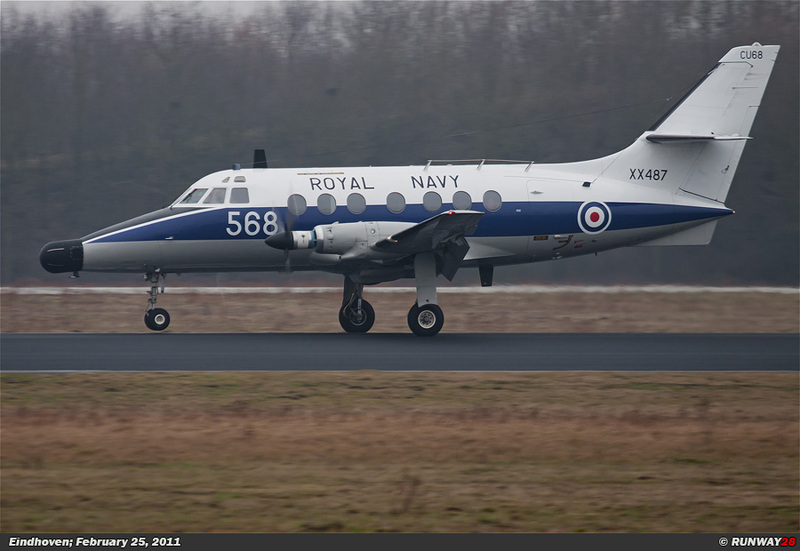 The RAF used this aircraft as a multifunctional multi-engine training aircraft. 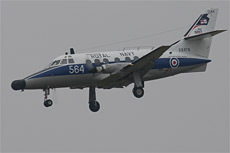 It was introduced in the RAF as the Jetstream T1. 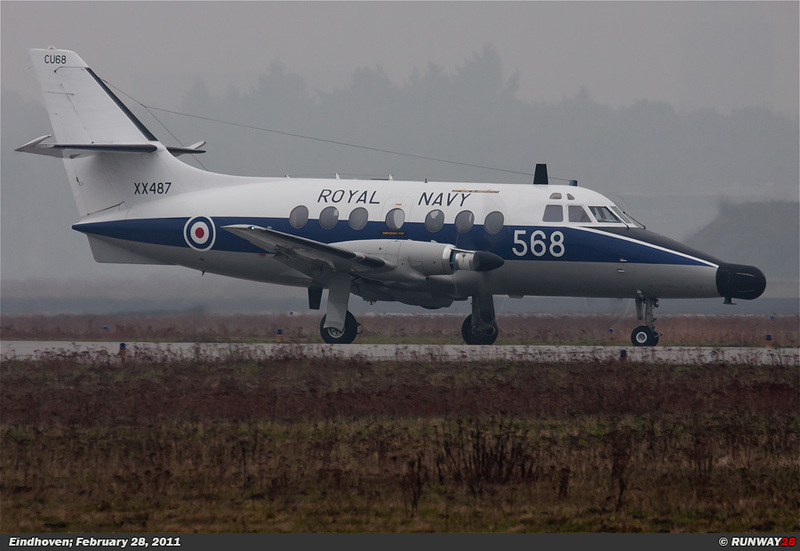 Fourteen of these aircraft were transferred to the Royal Navy. 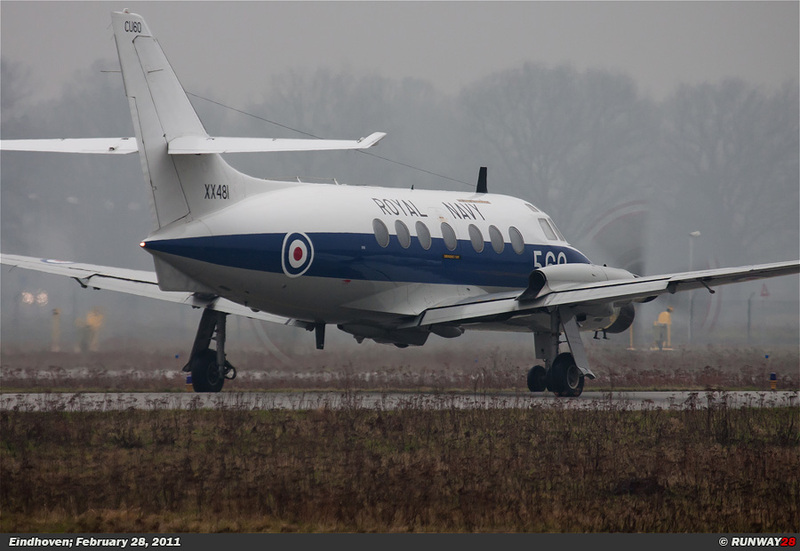 The aircraft received an update soon and continued flying as the Jetstream T2. 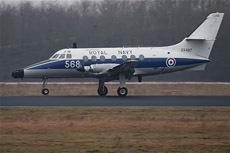 The Jetstream is used to train the observers of the Fleet Air Arm. After completing their training, the crew will serve in the role of observer on board of the Sea King Mk7 ASAC (Airborne Surveillance and Control), the EH-101 Merlin (anti-submarine) or the Westland Lynx (anti-surface. 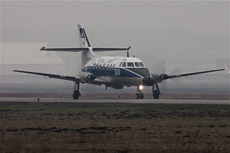 The Jetstream is equipped with a nose mounted radar and two navigation consoles for training of the observers. It would be the last time that I would see the Jetstream in operational service. The aircraft will be retired at the beginning of April 2011. Probably the machine will retire earlier than April 2011. 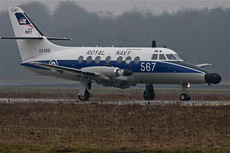 The main runway at RNAS Cult Rose will be renewed from March 2011. Therefore the chance is big that the aircraft will retire from that moment. 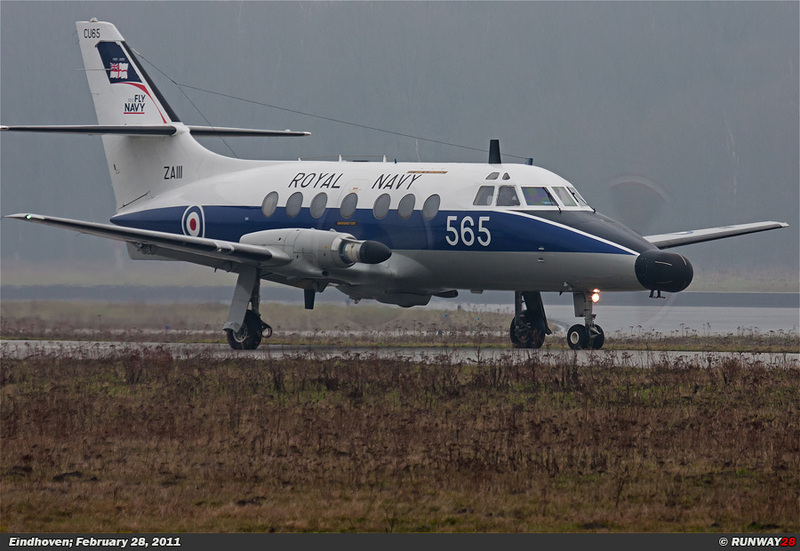 All the Jetstream aircraft will be scrapped after their retirement. 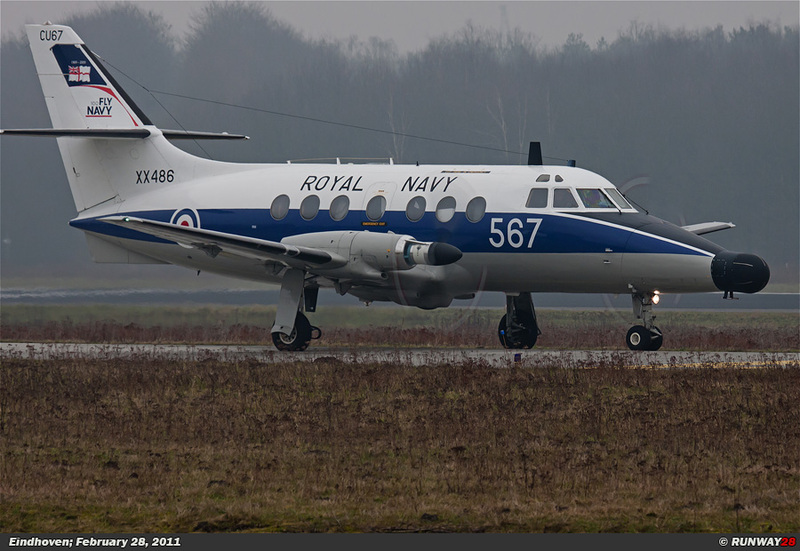 There are still seven Jetstreams in operational service in the Fleet Air Arm. Five of these aircraft would visit Eindhoven today. 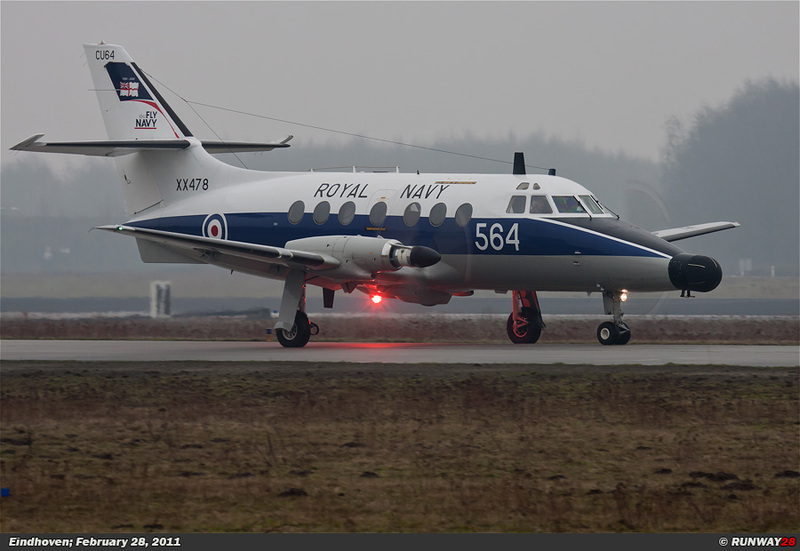 The crew of these aircraft was busy with a navigation flight through Western Europe. The navigation tour was a farewell flight of the Jetstream. It was a good moment to take a closer look at the Jetstream. 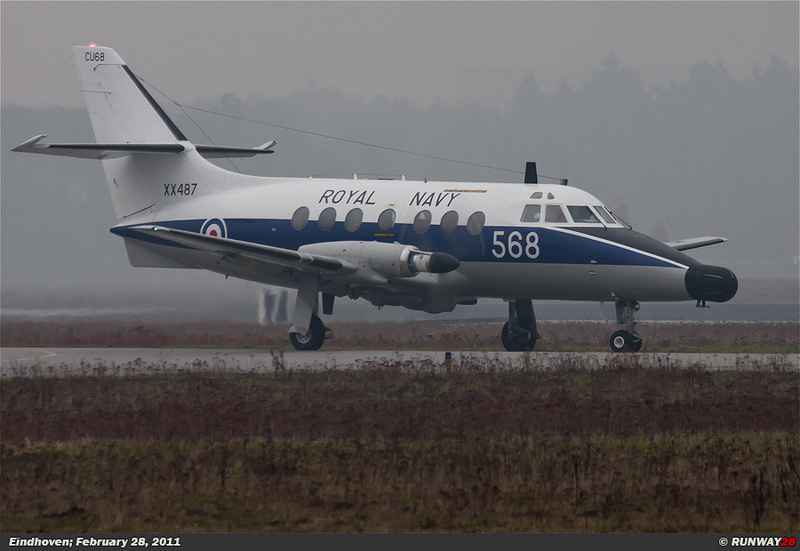 The aircraft is considered as the ugly duckling of the British Royal Navy. The weather today was not the best weather for this situation. It was very foggy and the visibility was very poor. 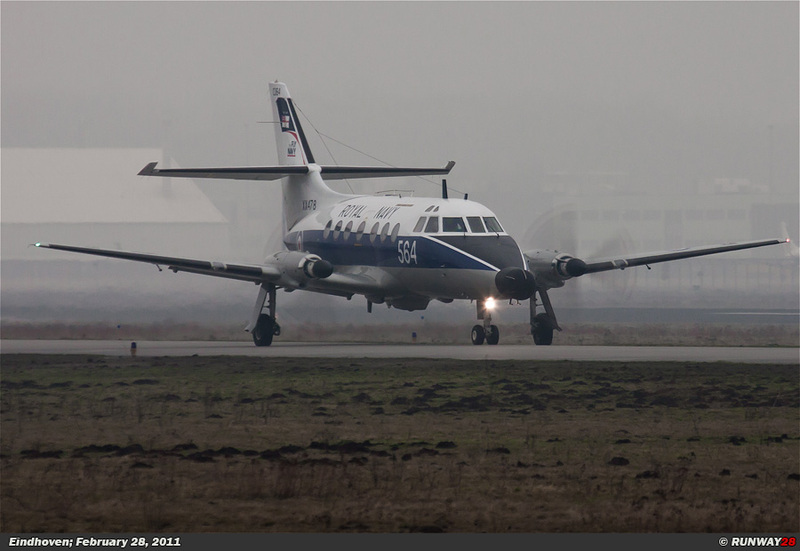 I decided to go to the parking area P5 of Eindhoven Airport during the landing of the first Jetstream. The first Jetstream appeared on the horizon after ten minutes of waiting. It was clear that photography would be very difficult today when the first aircraft came in for landing. 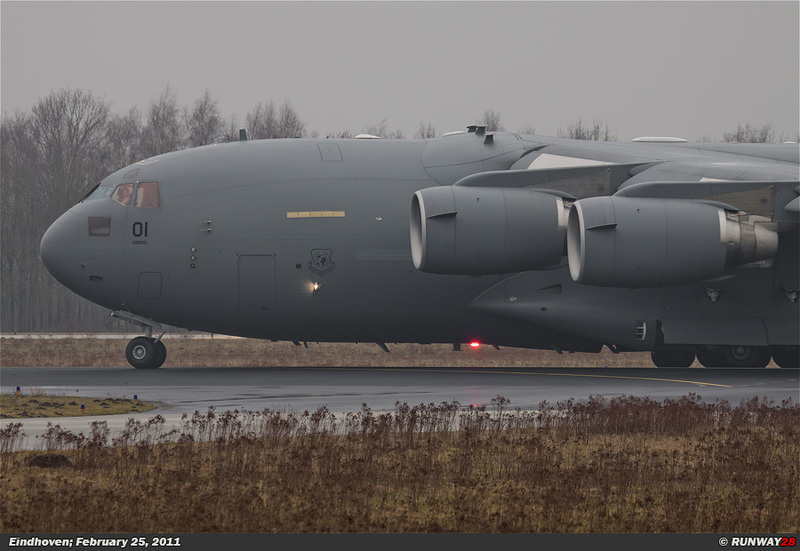 Immediately after the arrival of the first Jetstream a C-17 of the NATO appeared at the head of the main runway. After the landing of the second Jetstream, I decided to go to the parking area P4. This spot was closer to the touch-down point of the incoming aircraft. At this point I managed to capture the other three incoming Jetstreams. 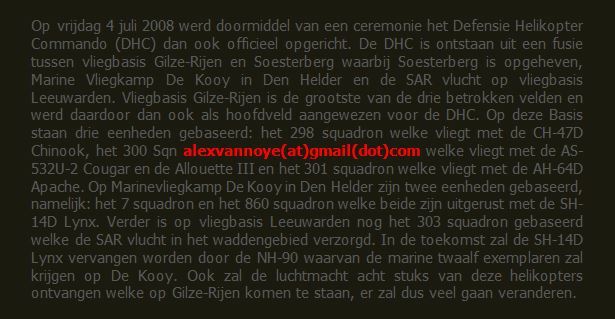 On Monday I went back to Eindhoven to capture the departure of the Jetstreams. The weather was still very cloudy. The fog was the same as last Friday. The only difference was the wind direction. 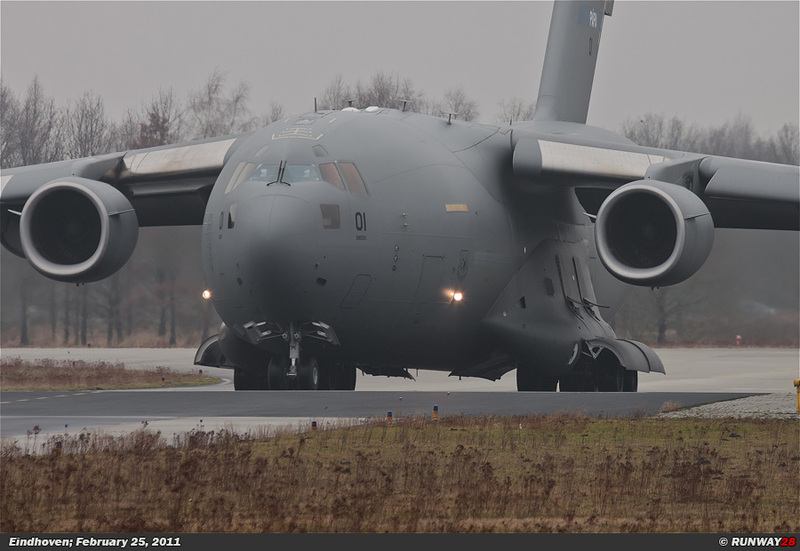 Today they flew via runway 04 at Eindhoven. I went to the landing side of Wintelre, because you can see the departing aircraft from a very short distance at this location. 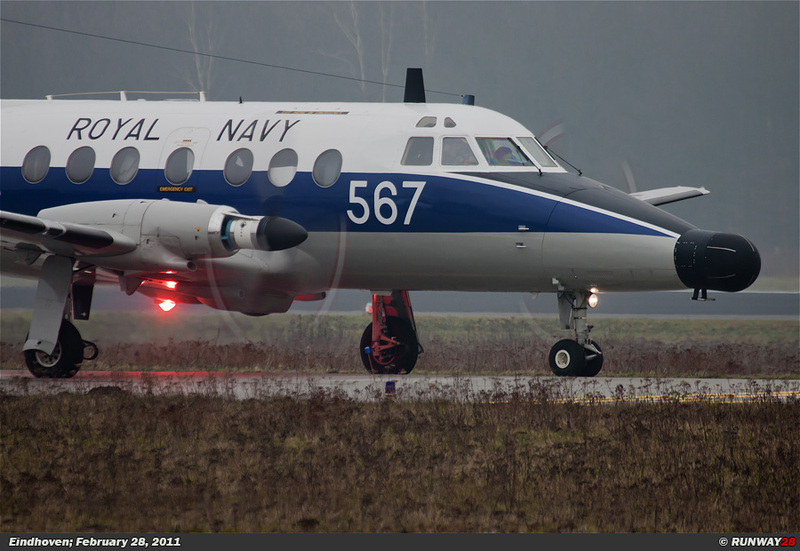 The first Jetstream appeared soon at the runway. Fortunately the aircraft taxied all the way back to the head of the runway. It did not take long before also the second aircraft appeared. The second aircraft waited for almost ten minutes right in front of my lens. The third Jetstream appeared approximately ten minutes after the second aircraft. 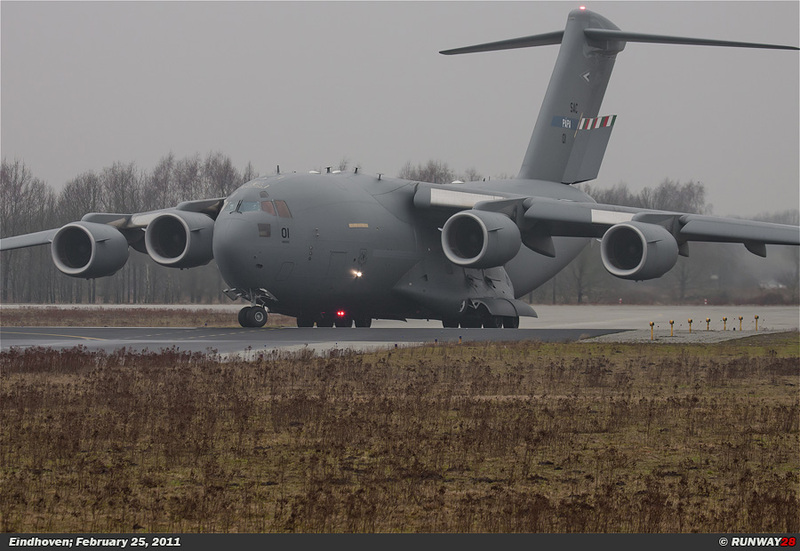 Also this aircraft was waiting for a few minutes at the head of the runway. 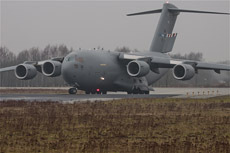 The fourth aircraft entered the runway shortly after the third one. I walked to a position where I could capture the two aircraft on one photo. Unfortunately this did not succeed, because the first aircraft started to taxi shortly before I was in the right position. Number five appeared after the depar- ture of the third and fourth Jetstream. Also this aircraft was very easy to capture on photo. I went home right after the departure of the fifth Jetstream.I had a very nice morning with lots of photo oppor- tunities to capture these planes for the very last time. It was a worthy farewell of the ugly duckling of the Royal Navy.